Screenplay: Robert Harris, Roman Polanski. Starring: Ewan McGregor, Pierce Brosnan, Kim Cattrall, Olivia Williams, Tom Wilkinson, Timothy Hutton, James Belushi, Eli Wallach, Jon Bernthal, Robert Pugh. Roman Polanski was in a Swiss prison cell – due to his past personal exploits – while finishing editing this film, but thankfully it doesn’t show. He has crafted a brilliant film to rival his previous great efforts and shows why he’s a respected director. Ewan McGregor plays a ghost writer hired buy former Prime Minister Adam Lang (Pierce Brosnan) to help finish his memoirs. As Lang’s previous ghost writer was found washed up on a beach, McGregor digs a little deeper into Lang’s life. He begins to find evidence of illegal deportation, corruption and possibly murder, which then puts his own life at risk. Polanski’s latest intriguing political thriller is reminiscent of thrillers of the 1970’s and decides on a slow burning approach and for the story to unfold at a lesuirely pace. However, once it gets going it’s very gripping and keeps the tension and suspense right till the very last minute, with help from excellent performances by the leads. 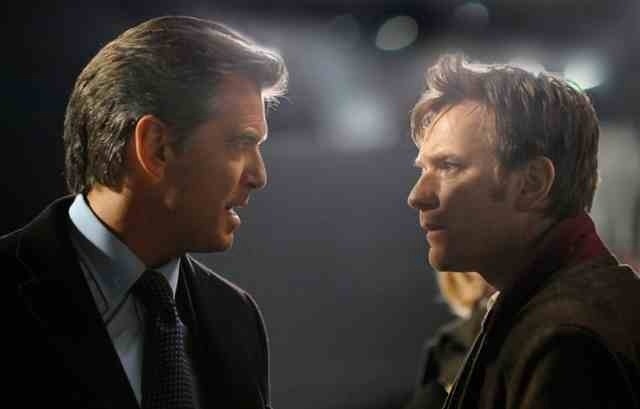 I’m normally not too keen on Pierce Brosnan but he is perfectly cast as the smarmy and elusive former P.M. (with some obvious allusions to Tony Blair) and McGregor – in his best performance in ages – adds an endearing character with some subtle comic touches, contrasting his dark and edgy surroundings. 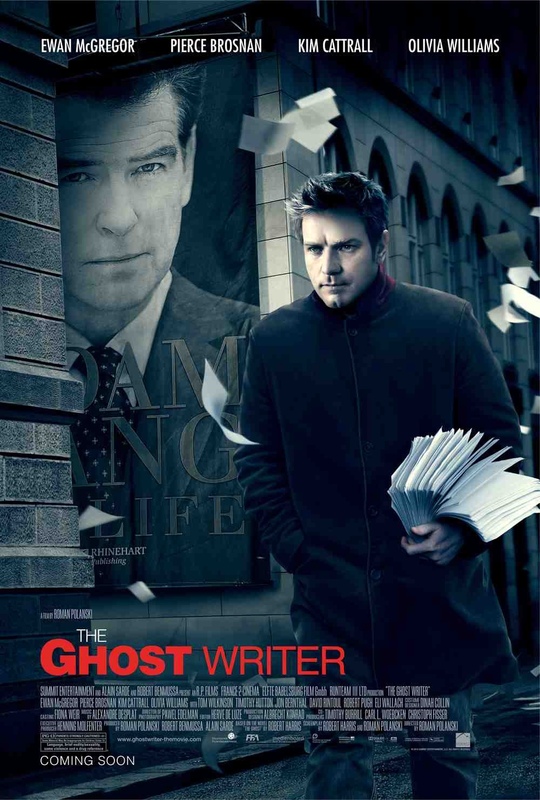 Released in America as “The Ghost Writer”. It requires a bit of time and patience but worth it in the end. This entry was posted on January 22, 2012 at 9:45 am and is filed under Drama, Mystery, thriller with tags 2010. You can follow any responses to this entry through the RSS 2.0 feed. You can leave a response, or trackback from your own site.